Politicana | UK & US Politics: Should Labour follow the GOP? There has been unprecedented interest this side of the atlantic in this year's US elections. British politicians of all parties have been seen at the Democratic convention mingling with Senators, Presidents, Governors and Mayors. The enthusiasm for the race that brought them to Denver didn't seem to stretch as far as a ticket to St Paul. But Milliband the younger and other Labour MPs should, as one Radio four pundit suggested, pay more attention to the events of the RNC as Labour have more in common with the Republicans then they would like to admit. After considering this point I would have to agree. Labour had a lot to learn from the Republicans. Before all the staunch Labour supporters implode with indignant wrath at my daring, to associate them with a brand of conservatism that they fundamentally oppose, let me explain. The Republicans and Labour are both long standing incumbent governments, they both have deeply unpopular leaders, they both face youthful opposition that the public seem to have taken to, they both are facing an unstable economy and how they handle it will be a huge factor in whether they are re-elected and so on. Labour could do worse then look to the McCain campaign for inspiration to attempt to draw the public back on side. 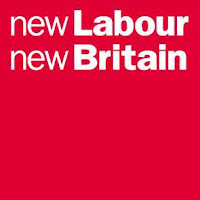 Not that I am suggesting that Labour descend to the smear campaign, question avoiding, lie endorsing tactics that have typified the Republican campaign rather that they could do worse then the Republicans have done by bringing in new blood to reinforce party line and leadership and to bring a new energy and drive without changing the message. You may not like McCain, you may not agree with Republican policy, but you have to admit that at the moment Palin seems to have been a home run for the GOP. Labour should look to St Paul and think how to do likewise.